Whether you’re just starting to build your content marketing campaign for the first time or you are looking to revamp a content marketing campaign that has ceased to function properly, carefully thinking about and building a plan is the best way to make sure you have the most effective campaign possible. 1. Understand what content marketing is. 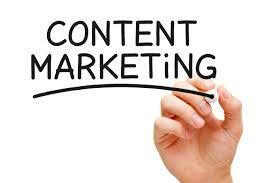 When most people hear “content marketing” they think about blog posts. Blogging is a big part of any content marketing campaign, but it is far from the only type of content you can create. In short, content is text, videos, podcasts, and images that you post to your blog and social media pages, with the intention of inspiring engagement and fostering conversation. Why is it important to foster conversation? Because it is in these conversations that you will build a relationship with your customers, both past and future. If you engage with them, they will engage with you. The next time they are trying to make a purchase decision, they will think of the companies they have relationships with, before any other companies. Knowing who your audience is builds the foundation of your content marketing campaign. You will not be able to create an effective plan if you don’t know who you are creating that plan for. What type of content do your potential customers or clients prefer? Why do they want to know about it? What a single mother wants to read about is going to be vastly different from what a retired grandfather wants to read about. Knowing who your audience is, what their goals are, and where they live online can help you build a more effective campaign marketing campaign. If you can, come up with a name, occupation, and list of hobbies for one person who embodies the spirit of your audience. 3. Know what you want to accomplish. Simply having a content marketing campaign is not enough. That’s like going to war without having a purpose of that war. Your attacks will be aimless and ultimately ineffective. Knowing what you want to accomplish, on the other hand, can make it much, much easier to devise a plan that will actually work. Is your objective to generate interest for your brand? To provide information that you know your customers/clients need? To create a community where your customers/clients can connect with you? Answering these questions will help you determine what it is exactly that you want to do with this campaign and therefore give it direction and you a plan of attack. Goal setting in a business is important, but it is especially important when it comes to any kind of marketing campaign. Without goals, you’ll have no reason to progress. What is the point of your content marketing campaign? How many people do you want to reach in the next six to twelve months? Do you want to be reposted by a popular news or entertainment outlet like Huffington Post or BuzzFeed? How many monthly or daily views do you want to be getting? Having goals like this allows you to know where you are falling short and to create a plan to market your content more effectively as your campaign progresses. 5. Decide what type of content you want to create. You don’t have to pick just one type of content, but you should decide before getting started the types of content you want to draw from, so that you remember to constantly change them up and integrate different forms of content, instead of randomly incorporating pictures, podcasts, and infographics as you go. This will make your content marketing campaign appear random, and there is nothing a consumer hates more than not knowing what they can expect from a brand. Some of the most common types of content are tutorials (showing or telling someone how to do something), interviews (real or devised by you in order to answer common questions or address an issue), infographics (information provided in a visual way), curated content (creating posts that list great posts that others have written), and blogs (writing fresh content on a topic). 6. Decide how often you want to publish. You don’t necessarily have to announce that you are going to post a new piece of content every Tuesday and Thursday, but you should actually have a publishing schedule. Not only will this give you deadlines that can motivate you to produce content, it will also establish the expectation of receiving fresh content that will draw your site visitors back again and again to your blog or social media venue. It should be a matter of habit, rather than something that just happens whenever you have the time for it. If you don’t really have the time to regularly produce content, hire someone who does. 7. Decide how you are going to promote your content. Before content marketing can work, you actually have to get that content in front of people. This requires you to take the time to find a way to promote that content. A subscription box on the blog is a great way to do this. Make your content easy to share by including social share buttons on the top and bottom of every post. Tweet, Facebook, and announce on Google+ when you have posted new content. Send out a link to your post to your email list. Decide right now how you want to promote it so you’ll never be stumped when it comes to getting the word out there.